Anthony Rizzo holds a Masters in law obtained from the ULB with a major distinction (2011). During his academic studies, he was awarded two prestigious prizes: the Paul Foriers Prize and the René Marcq Prize. The first rewards students for having obtained their Bachelors in Law with at least a major distinction whilst keeping the best balance between legal classes and non-law classes. The second rewards the student who has shown, throughout his studies, the best aptitude for academic research. 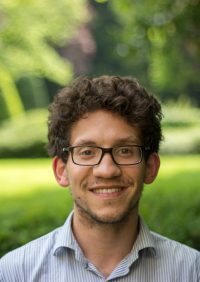 He has launched himself into producing a PhD thesis since October 2014 (supervisor: Anne WEYEMBERGH and co-supervisor : Franklin KUTY) and is an assistant at the Faculty of Law of the ULB (methodology for research and drafting in criminal law). He has also been registered with the Ordre des Avocats du Barreau de Bruxelles since November 2014 and as an associate in the Jus Cogens law firm. His PhD thesis is about the influence of the EU’s criminal law on Belgian criminal law and the Belgian criminal procedure, more particularly in the area of seizures and confiscations. He also takes part in the activities of the European Criminal Law Academic (ECLAN) Network. Anthony Rizzo has been an assistant for the research and writing methodology in criminal law course (supervisors of the course: Anne WEYEMBERGH and Francesca GALLI) since 2012. (Français) La protection juridictionnelle offerte par le droit de l’Union européenne en matière de gel d’avoirs: une œuvre inachevée ?